Powering the nation with world-class power reliability requires dedicated, skilful individuals with the passion and agility to drive high quality performance and create innovative solutions for our customers. 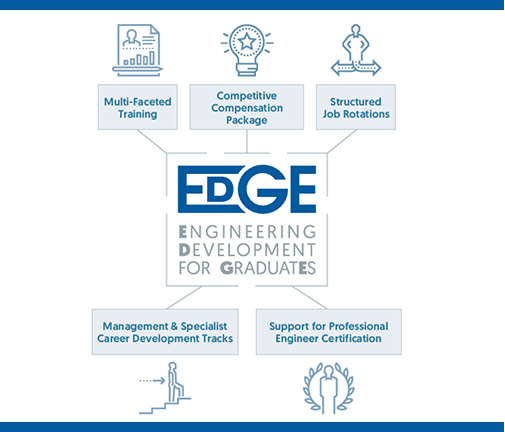 Our Engineering Development for GraduatEs (EDGE) Programme takes a ground-up approach to grooming fresh engineers. 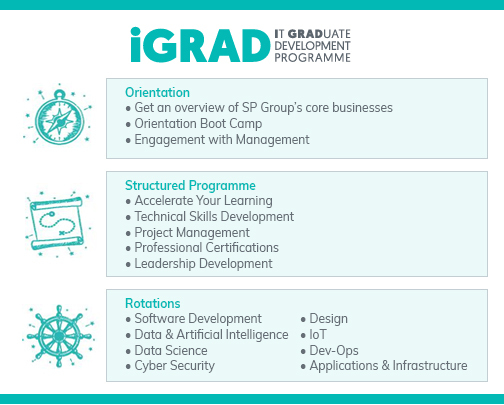 Our IT Graduate Development Programme (iGRAD) is designed to provide tech-savvy minds with accelerated technical expertise development through broad-based exposure to key IT functions. Our Learning through TEchnical Accelerated Programme (LEAP) sees fresh engineering graduates undergo a series of structured blended training which consists of theory-based lessons and on-the-job training, tailored to build a strong technical foundation. Internship is an integral part of SP’s efforts to attract and engage highly-motivated talents. The programme is designed to build professional corporate experience in students with the desire to join the energy utility industry. You will be exposed to different aspects of our organisation and gain skills and knowledge valuable in your career. Contact us at [email protected], if you have queries.